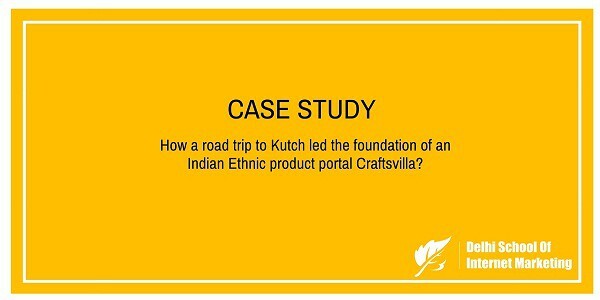 CASE STUDY:-How a road trip to Kutch led the foundation of an Indian Ethnic product portal Craftsvilla? Home > Blog > Blog > CASE STUDY:-How a road trip to Kutch led the foundation of an Indian Ethnic product portal Craftsvilla? Craftsvilla is an online portal to showcase the art and creativity of Indian artisans and craftsmen where they can directly connect with global consumers. It is basically an online store for handmade, handcrafted, organic and natural products. The idea of Craftsvilla started when the founder of Craftsvilla Monica Gupta was on a road trip to Kutch in Gujarat where she found many artisans and craftsmen who made wonderful creations were yet struggling to survive and earn their livelihood. The problem what Monica saw there was that these artisans use to sell their products to middlemen who paid them very low for their creations and these middlemen then themself sell the same items at overstated rates in the market. Being from the rural areas, the artisans weren’t much more educated to that level where they can understand the whole concept of market neither they had the resources to promote their products. Most of them were on the edge of quitting. Monica believed that if the same scenario remained as same, a time would come when most of our artisans would have quit and we would have lost many of these ethnic crafts. Thus just after returning from Kutch, Monica sat down with her husband Manoj Gupta and discussed about the idea of a platform where these artisans could directly connect with consumers and they can earn a good livelihood. 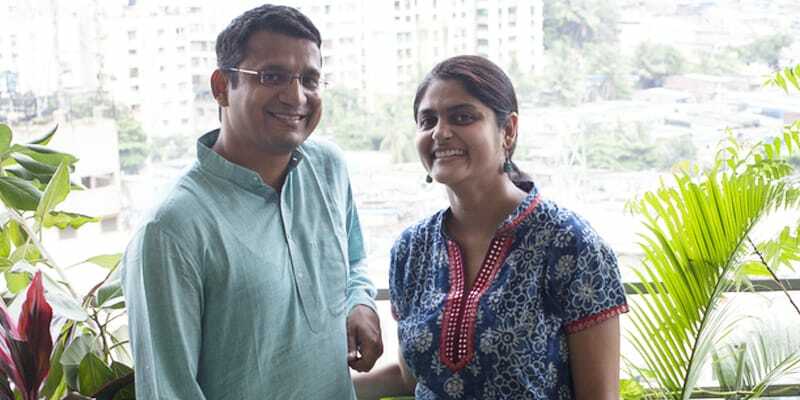 This was the beginning of Craftsvilla where artisans can open their own shop and showcase their creations.That impulse gave birth to a start-up in June 2011 that is now more than worth $400 million. Craftsvilla.com today has online sellers who sell Indian products from across India, from Jammu Kashmir to Sikkim to Bhuj to Kozhikode in Kerala. Craftsvilla.com, which empowers small entrepreneurs, especially women, is creating bottom-line social impact by giving a platform for these sellers to sell directly to millions of customers online. Manoj and Monica greatly relied on word of mouth and repeat customers strategy to spread the word. They believed that if you offer customers really a good service in context to product quality and shipment, he or she would not only be tending to buy again but they will also promote your business by spreading the word about the company and this is one of the most important mechanism to gear up the online marketingstrategy of the company. The company has endorsed Vidya Balan and Kareena Kapoor as its brand ambassadors to promote the brand name Craftsvilla. The company also attracts customers through other social mediums such as Facebook with more than 5 million fans, Twitter with more than 4.5K followers, Pinterest with more than 4K followers, etc. and through paid ads and through SEO. Craftsvilla has organized Craftsvilla Miss Ethnic 2015 which is a platform for every woman to express her true ethnic self. The contest started on 24th of July and till the closing of the participation, around 50,000 entries has been received. The website received close to ten thousand entries in the first few weeks alone. 10 exceptional ladies will be selected from among these 50,000 and one of them will finally be crowned Craftsvilla Miss Ethnic 2015 by Kareena Kapoor on 9th of October 2015. The final round of this contest and the crowning will be telecast on Zee Tv. About 80% of the buyers are women. The push has been to revive handicrafts and make it conveniently accessible. The company tries to keep things colorful and lively and that attracts the 18-35 age group buyers. More than 50% of the orders come from Tier 2 cities. And as it is with e-commerce portals inIndia, 50% of the sale is through Cash on Delivery (COD) mode. In just four years, Craftsvilla.com has become the transparent leader for the Indian ethnic products and is now the fastest growing and largest online marketplace with close to 2 million unique products from more than 12,000 artisans and designers across the country. The vision of Craftsvilla.com is to become the one stop destination for ethnic products globally. Currently Craftsvilla ship the products to more than 100 countries across the globe. “We are now facilitating over 100,000 transactions per month, and growing rapidly. We are aspiring to be 10x our current size by the end of this year, with 20 million products on our platform”, said COO & Co-founder of Craftsvilla.com, Monica Gupta. Craftsvilla has been growing rapidly below the radar, and has now become the leading e-commerce marketplace for ethnic products in India. Manoj and Monica are an inspirational founding team who bootstrapped the company for the last several years after facing a prolonged period of slow adoption of ethnic products in e-commerce in the early years. Such founders are rare and special and we are honored to partner with them, said Shailendra Singh, MD, Sequoia Capital India Advisors.